Perfect for ATV's, Go Karts, Snowmobiles, Cars, Boats & Experimental Aircraft! 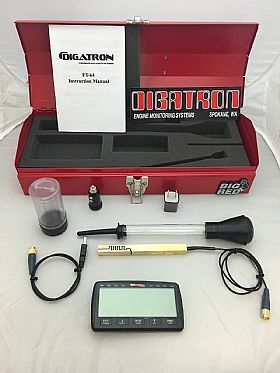 FT-64 D Tester Kit with sensor, set Designed to keep racing safe and legal, Digatron's fuel tester is the best deal on the market. It is a small, easy to use fuel indicator that performs two tests to detect the addition of oxidizers to fuel. In addition the FT-64D performs a temperature reading for consistency. If an additive is indicated on the instrument the additionally supplied hydrometer can be used to verify the results. The FT-64D is Digatron�s fuel indicator that performs two electrical tests for preliminary screening of fuels. This is done by comparing the dielectric constant and the direct current conductivity of a competitor�s fuel to a known base. Fuel with added oxidizers will cause the instrument to register more positive than the base. This indicates a possible additive to the competitor�s fuel. This instrument is an excellent first screening for illegal compounds added to fuel, but it is not a final test. Only a lab analysis can confirm the presence of specific substances. 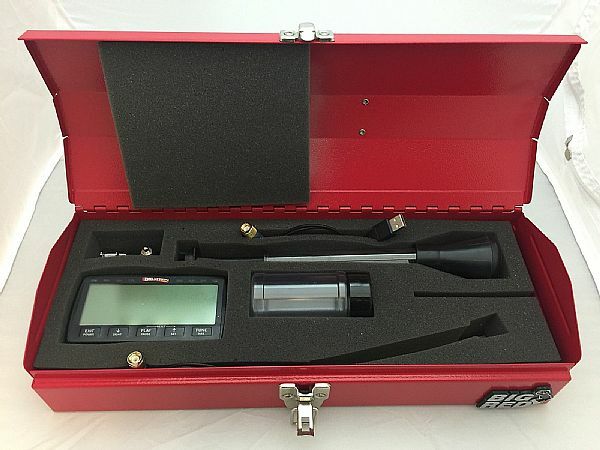 The FT-64 D is designed to be turned on and used, simply put the sensor in the sample fuel. If the instrument is showing a negative number, the fuel is legal. If the reading is slightly positive, we recommend recalibrating the instrument, testing the fuel again and performing Test 2. The more positive the number, the greater the possibility that the fuel contains illegal additives. Illegal or disputed test results should be confirmed by laboratory analysis.